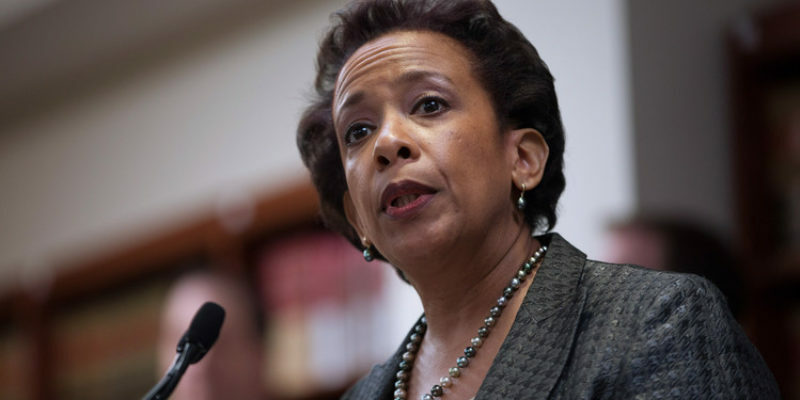 The scandal surrounding Loretta Lynch continues to evolve, this time bringing with it some questions regarding a secret email account and the mysterious alias of Elizabeth Carlisle. For some reason, it appears that the Obama administration had real issues in regards to emails, servers, and secret aliases. Most notably Hillary Clinton, the former secretary of state and 2016 Democratic nominee for president, was investigated for the misuse of classified information on a secret server under a previously undisclosed email address. In the midst of that investigation, it was revealed that Eric Holder, Lynch’s predecessor at the DOJ, and Chuck Hagel, the secretary of defense, had also used secret email accounts to correspond on official departmental business. Even former President Barack Obama used a secret alias at some point to communicate with Hillary Clinton on her infamous email account. Now it is Loretta Lynch’s turn to deal with an email scandal, and it’s simply the cherry on top of the pile of woes for the former attorney general. Lynch’s secret email address and alias were discovered following the release of 413 pages of DOJ documents to watchdog groups Judicial Watch and American Center for Law and Justice, who were seeking answers regarding the infamous meeting between Lynch and former President Bill Clinton on a tarmac in Arizona. The meeting put into doubt the credibility of the investigation into Hillary Clinton and was a key deciding factor for former FBI director James Comey in the decision to release further information on the investigation directly to the public. Furthermore, it appears that this statement directly contradicts testimony that was given under oath to Congress where she stated that she did not use any email aside from her official Justice Department email, an action that brings up the potential criminal charge of perjury. When will we get answers on this topic? The Democrats are eager to discuss the “drip-drip” news in regards to Donald Trump’s still-unsubstantiated ties to Russia, but no one, not even the media who could have headlines for days, wants to discuss the flood of information that continuously comes out through watchdog groups like Judicial Watch. The American people deserve answers about why Loretta Lynch instructed James Comey to discredit the seriousness of the Clinton investigation, and if Lynch was asked to do so by a member of the Clinton campaign. We deserve answers about what really occurred on that tarmac in Arizona. We deserve answers about all of these email accounts and why it was necessary for the Attorney General to go by Elizabeth Carlisle when talking with DOJ staffers. The reason why people are discontent with their government and with the media is directly linked to the dishonesty of our public officials and increasingly our mainstream media. The House Judiciary Committee is right: we need a second special counsel to investigate this, and we need one quickly.